I'm a Colorado native, born and raised in Longmont, went to school at CU Boulder. My parents and grandparents are CU grads. I flew the coop after college (east coast, then west coast) but I always came back to Colorado. So I love these lists of the best things to experience in Colorado - here's the latest from The Denver Post. 1. Climb a 14er: never done. Even the easy ones. Not sure I want to. 2. Red Rocks concert: first concert I ever went to was Billy Idol at Red Rocks. Yes, really.... Billy Idol. Best Red Rocks concert was Depeche Mode, 1989. Or Motley Crue, 2005. Or UB40, 1989. 3. Mesa Verde: I didn't do this until I was 30, and I want to do it again. Hit up Telluride on the way. Stunning. Telluride should be on the list, too. 4. Strawberry Park Hot Springs: The first time I saw a shooting star, saw the full Milky Way in all its brilliance, and skinny-dipped with strangers. 5. Sand Dunes: got caught in a hailstorm and still had fun. Then camped on Wolf Creek Pass. 6. Dinosaur Tracks: this is on my list! 7. Listen to elk bugle: I grew up getting carsick on every drive to Estes Park. To this day I can't eat salt water taffy. But the huge elk herds... they're something to see. 8. Navigate a mountain road: Yep. 9. Board a train: Discovered the Georgetown Loop Railroad when my first son fell in love with trains... it's a fall tradition now. 11. Fly fish the Roaring Fork. Who cares if you catch anything? You're knee deep in a gurgling, cold river and trying to figure out what those rainbow trout are eating. You can't be more in the moment than this. 12. Tube down Boulder Creek. Just do it. 13. Try Rocky Mountain Oysters. My cousin served them at her wedding. I thought they were fried mushrooms. I was on thirds when someone told me what they really were. I still ate them. 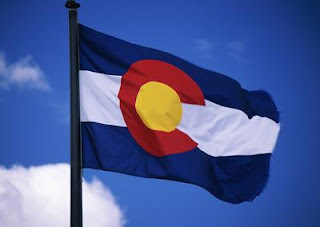 What's your must-do thing in Colorado?